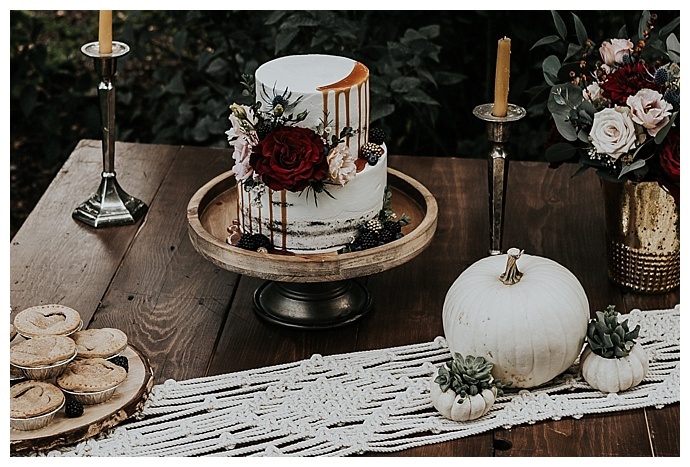 Everything about today’s shoot feels so perfectly fall that you’re going to want to light a candle and cozy up on the couch with a latte in hand before you dive into this inspiration shoot. 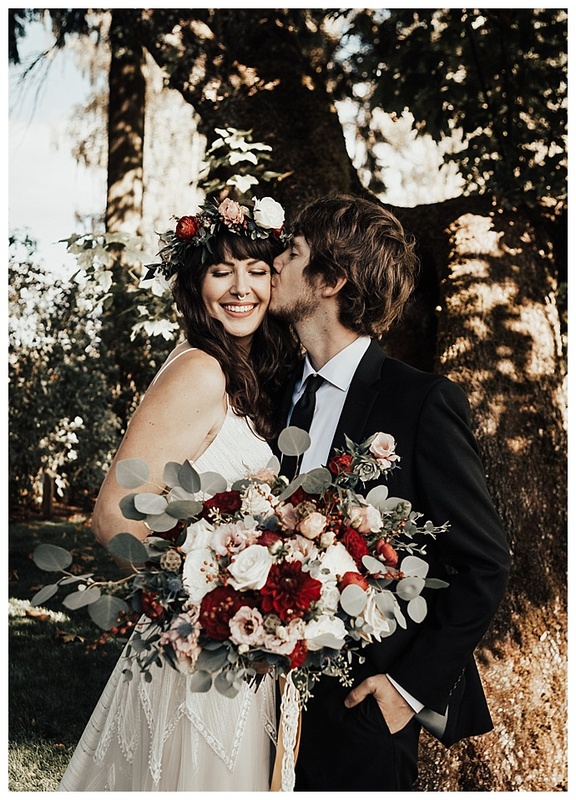 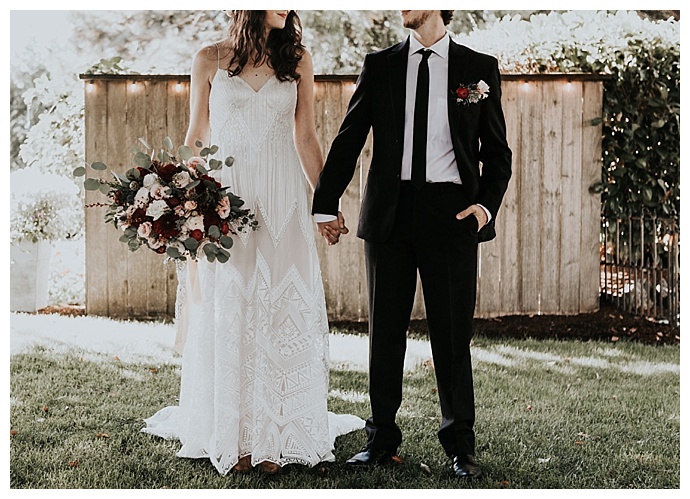 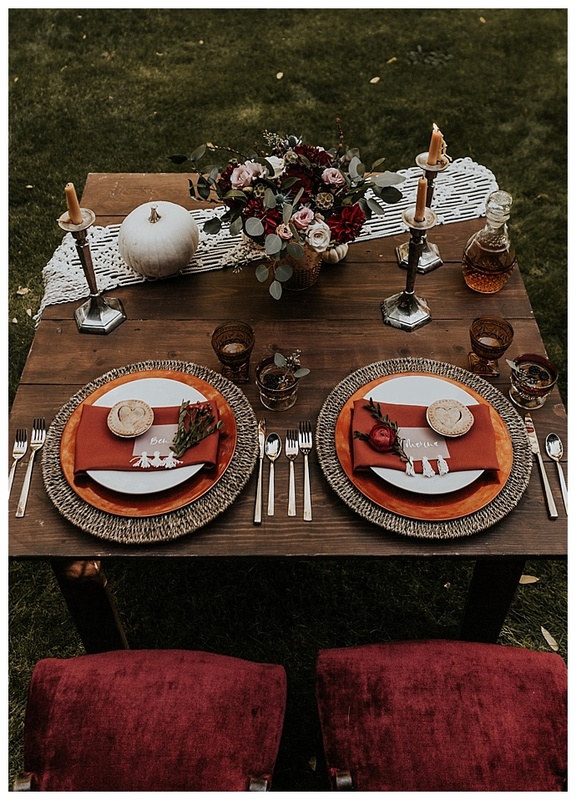 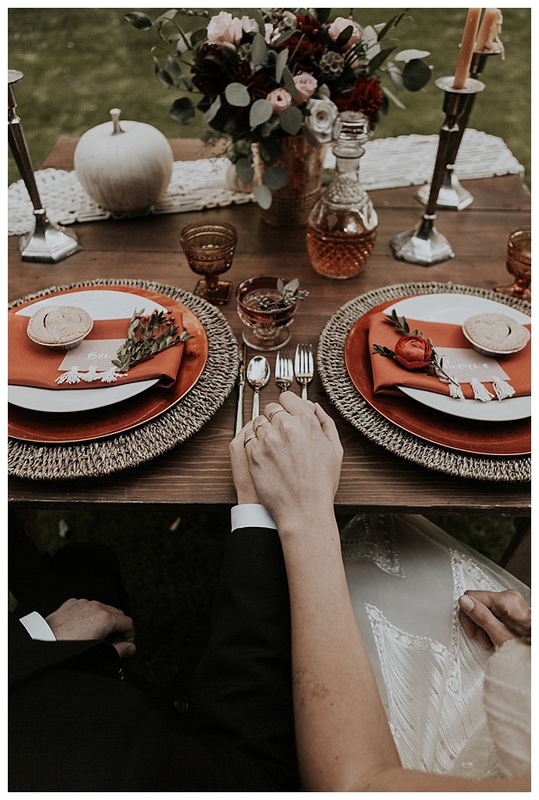 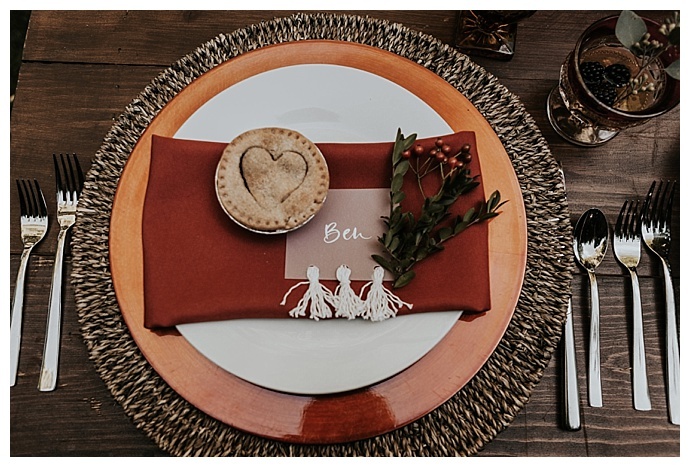 In Lebanon, Oregon, where striking colors blanket the Pacific Northwest each fall, Peachy Keen Coordination conceptualized an autumn-inspired design with minimal yet bold details that would be easy for any couple to throw together for a modern affair. 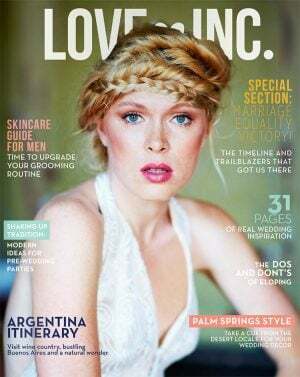 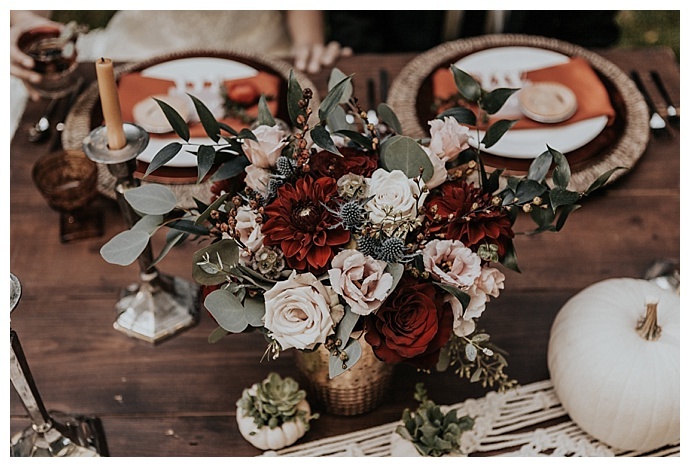 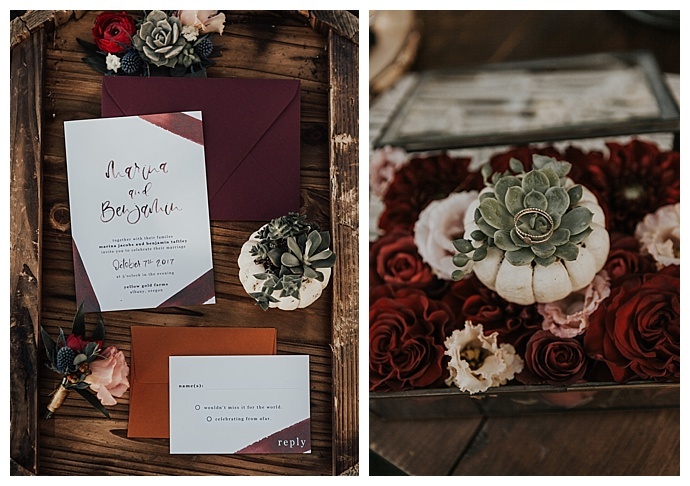 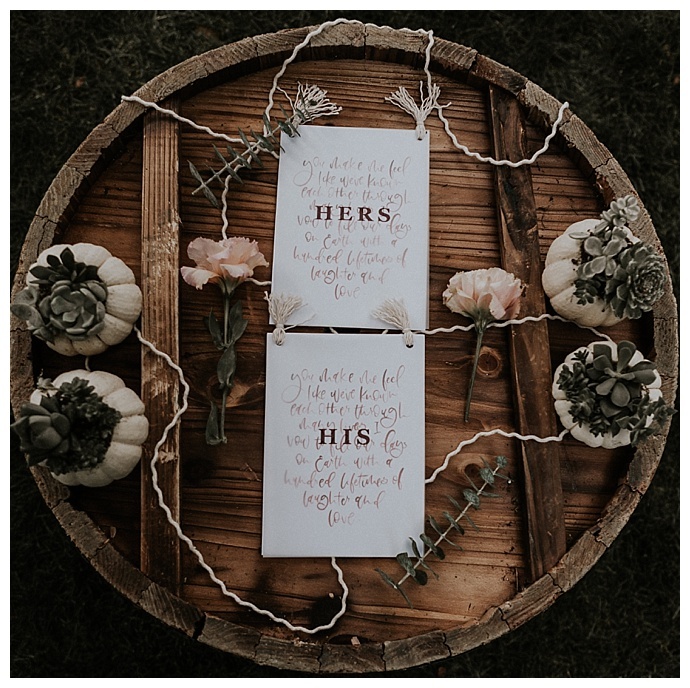 With a rich color palette of merlot red and rusty, nearly pumpkin orange, fall florals galore and macrame details that make our boho-loving hearts sing, this shoot marries everything we love about weddings this time of the year. 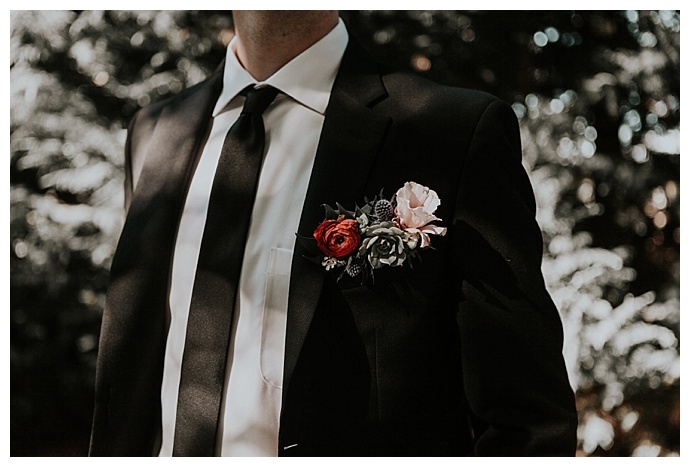 We’re particularly falling for the floral pocket square, a modern alternative to the boutonniere that we’re starting to see more of as of late, as well as the tassel place cards that add an eye-catching element to the tablescape. 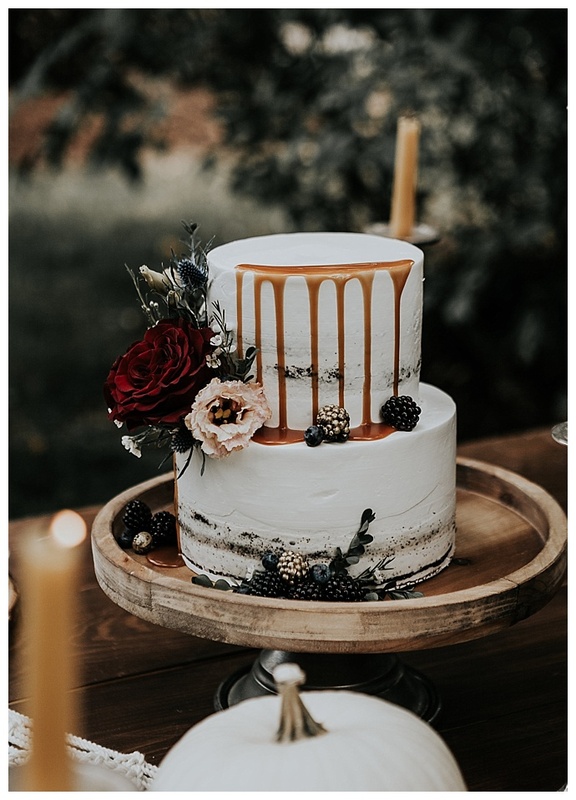 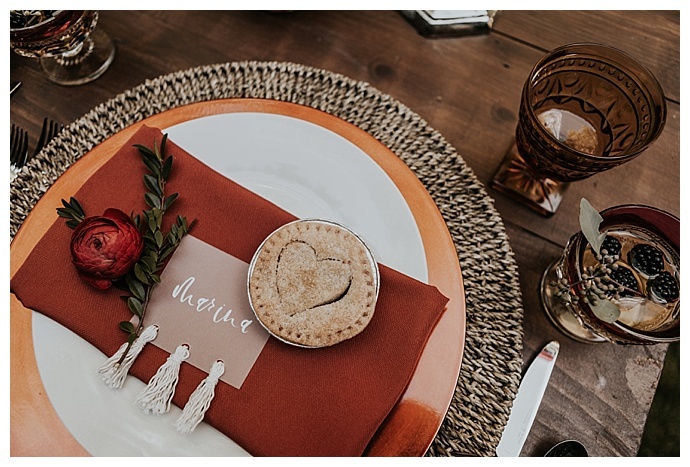 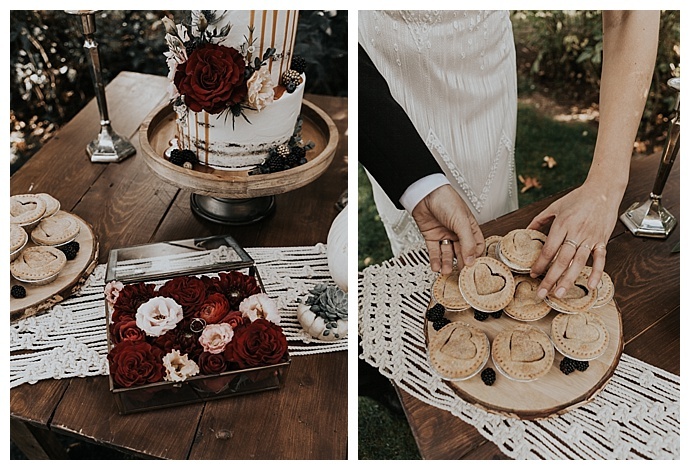 As a sweet addition to each place setting, Hoffman Farms baked delicious individual peach blueberry pies with a heart in the crust for an alternative to the beautiful wedding cake adorned with gold-dusted blackberries and a tasty caramel drip. 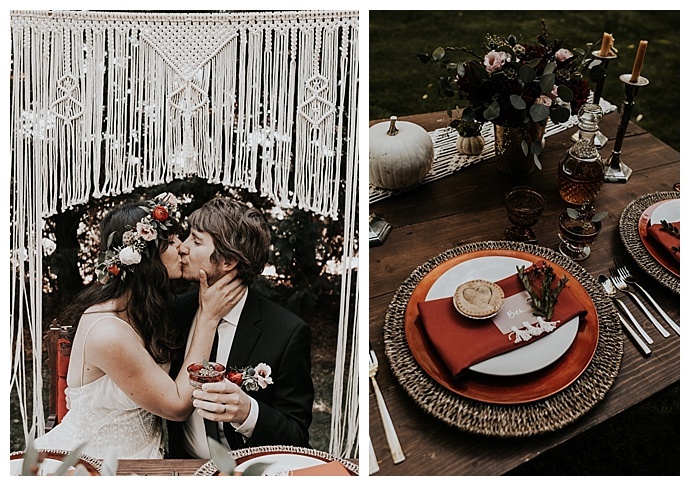 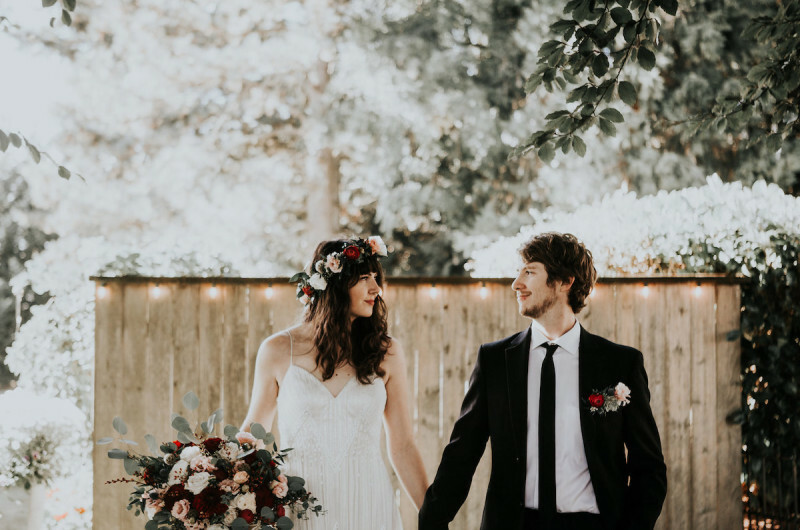 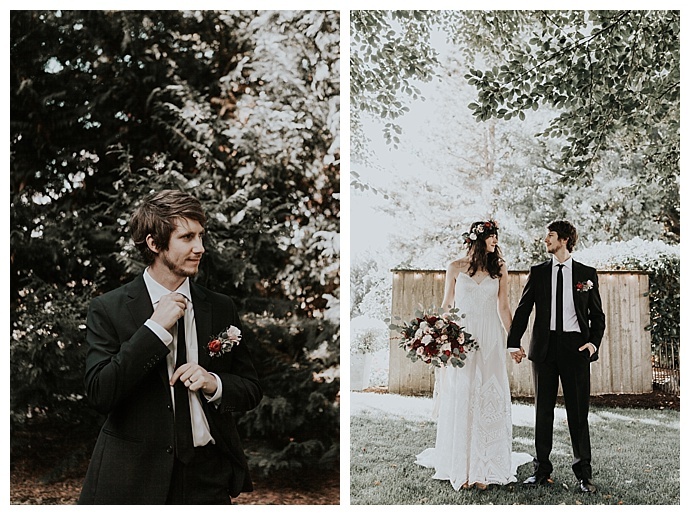 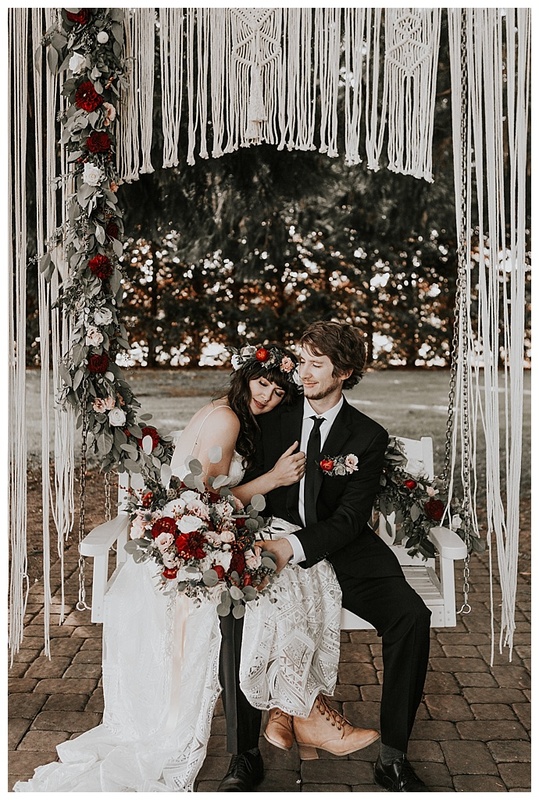 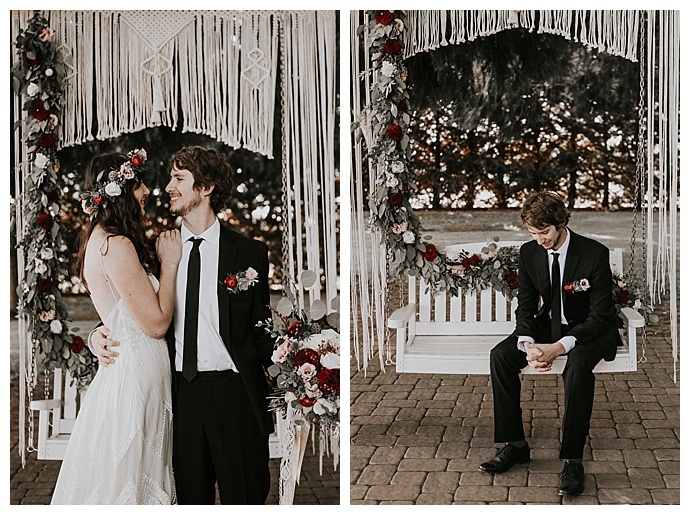 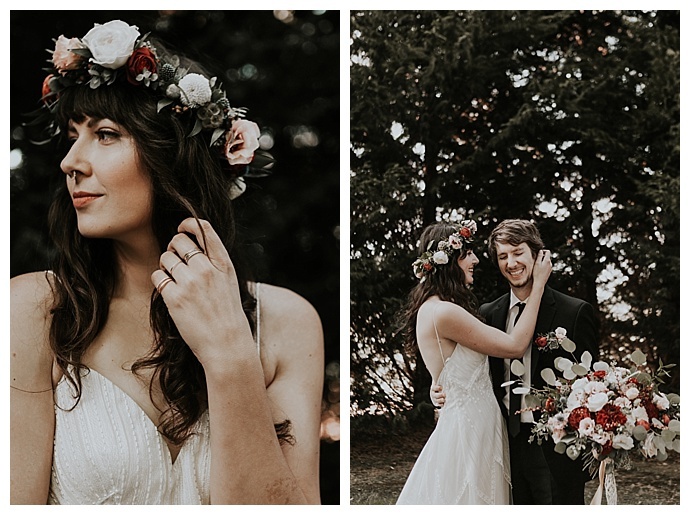 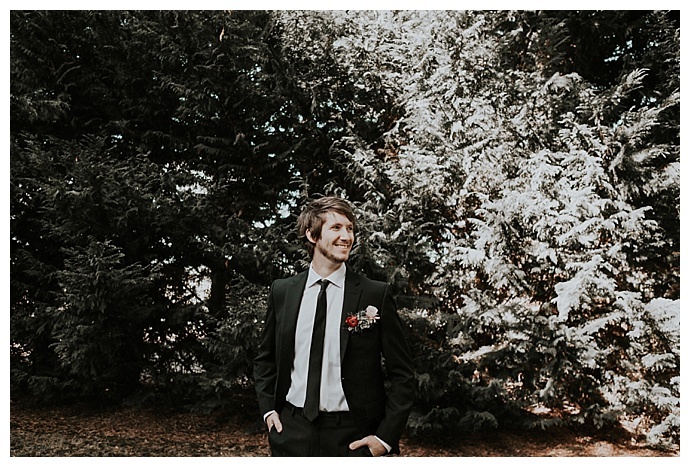 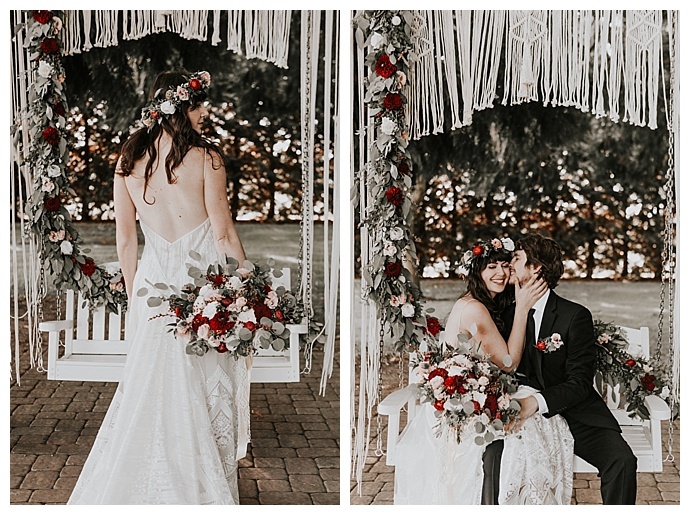 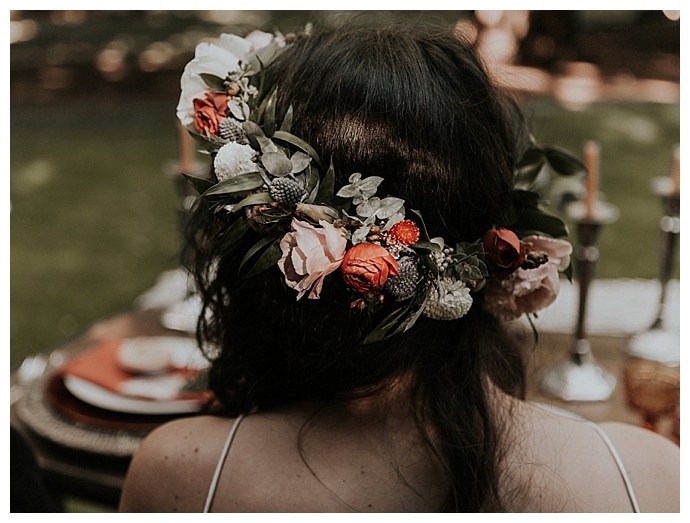 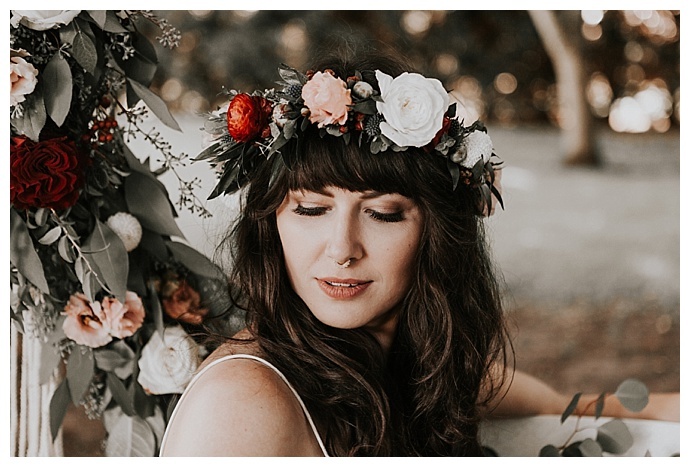 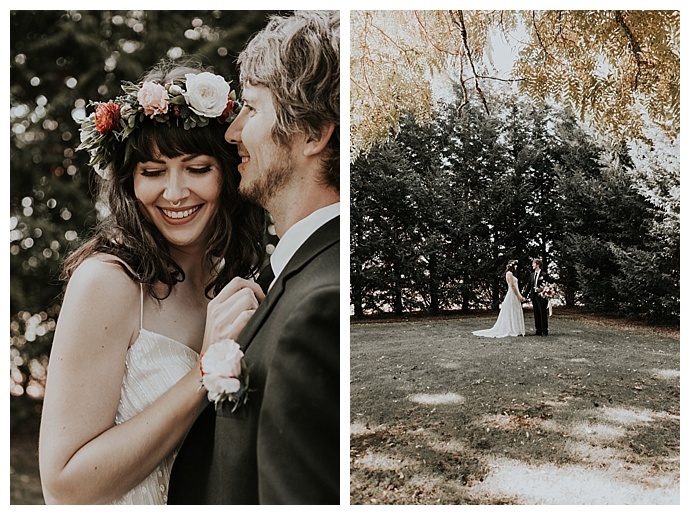 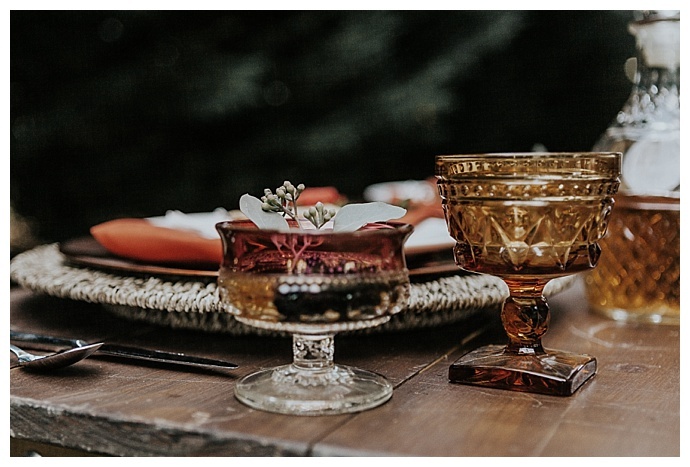 Captured by Sarah Olivia Photography, this lush wedding inspirationshoot strikes the perfect balance of cozy boho chic and the year’s most colorful season.